Goodreads: Nemesis (n.) 1) An opponent or rival whom a person cannot best or overcome. Kritters Thoughts: With co-CEOS and co-Executive Assistants, these two have been battling it out since the two companies merged. A new position has been announced and they will have to fight for it. The things that I loved about this book were they were set in the book world - in a publishing company. The other thing that hooked me from the synopsis was that the story was told through the eyes of an Executive Assistant. I am an Executive Assistant to a CEO and have been for 6.5 years, so I love to read a book that takes a glimpse into my full time job - just entertaining! I didn't love the love hate relationship between the two EAs, at times it felt overplayed. There were a few times I wish they hadn't been so horrible to each other, it felt like it set them so far apart to get them to a loving spot seemed like a far fetch. I didn't LOVE this book like I thought I would, it had all the things I would love, but it just didn't completely work for me. 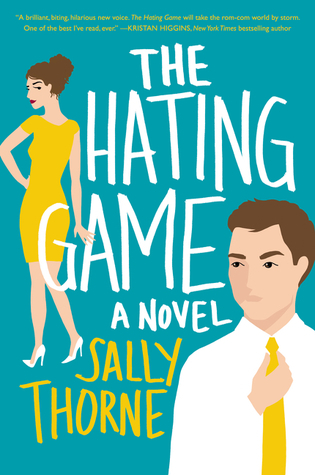 I didn't hate the writing and can't completely pinpoint it, so I will definitely be on the lookout for Sally Thorne's next book.